Jordan Johnson scored 22 points to help AACS hand Boys’ Latin its first loss of the season. Going into the week before Christmas, the Boys’ Latin basketball team looked to extend a perfect 2017, as the undefeated and 7th-ranked Lakers prepared to host a pair of MIAA A Conference games. Most Laker fans were looking forward to a key match-up with No. 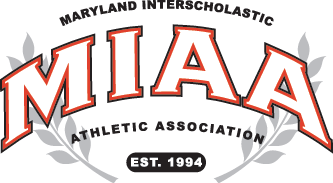 4 John Carroll, which is scheduled to visit Roland Park on Friday afternoon, but the Lakers first had to take on a tough Annapolis Area Christian team on Wednesday night. Indeed the Eagles did prove to be a difficult challenge, as they rallied for a 61-56 victory. Coach Cliff Rees’ Lakers (7-1 overall, 2-1 MIAA A) started off fast against AAC (5-2, 2-1) on Wednesday, zooming out to a 21-13 lead in the first eight minutes behind the torrid first quarter shooting from junior Cameron Spencer, who nailed three 3’s. The Eagles, under the guidance of Coach Doug Scheidt, came a little closer in the second quarter when they outscored the Lakers 15-11 as juniors RJ Forbes and Jordan Johnson combined for 13 points. Johnson and his teammates turned the game around in the third quarter outscoring the Lakers 22-9 to carry a seven-point lead into the fourth stanza. High-scoring Laker senior Jaylin Andrews, who led all scorers on the night with 25 points, poured in nine in the fourth quarter to keep the host team within striking distance. A bucket by Andrews with 3:02 to go in regulation pulled the Lakers to within three and senior Kenny Lewis hit a bucket with 2:17 to go to cut the Eagles lead to one, at 57-56. The AACS defense stepped up and kept the Lakers from scoring the rest of the way, and a fast-break layup by Johnson, with 30 seconds remaining, gave the visitors a 59-56 lead. The Lakers had a chance to tie the game with 10 seconds to go, but Junior Dylin Borden stole the in-bounds pass and was fouled on the play. Borden calmly sank two free throws to seal the win for the Eagles. Scheidt, who brought his team up from the B Conference this season to compete in the talent rich MIAA A Conference, was not surprised at being able to knock off the undefeated Lakers. Scheidt said he had confidence in his team, and in Johnson in particular. Johnson said that the difference in the second half was keeping Cameron Spencer from scoring after his hot start. Andrews led all scores with 25 points, Spencer had 13 and Lewis added 11 for the Lakers. Johnson led the Eagles with 22 points followed by Forbes and Cameron Williams who each had 10 points. ANNAPOLIS AREA CHRISTIAN: Borden 7, Williams 10, Clark 2, Celcis 8, Johnson 22, Scott 2, Forbes 10. BOY’S LATIN: Lewis 11, Andrews 25, Bates 2, Watts 5, Spencer 13.